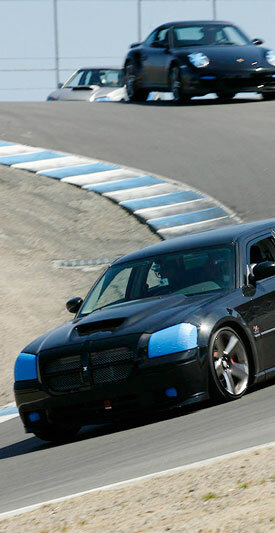 I have done a number of things to my 2005 Dodge Magnum. It started out small. 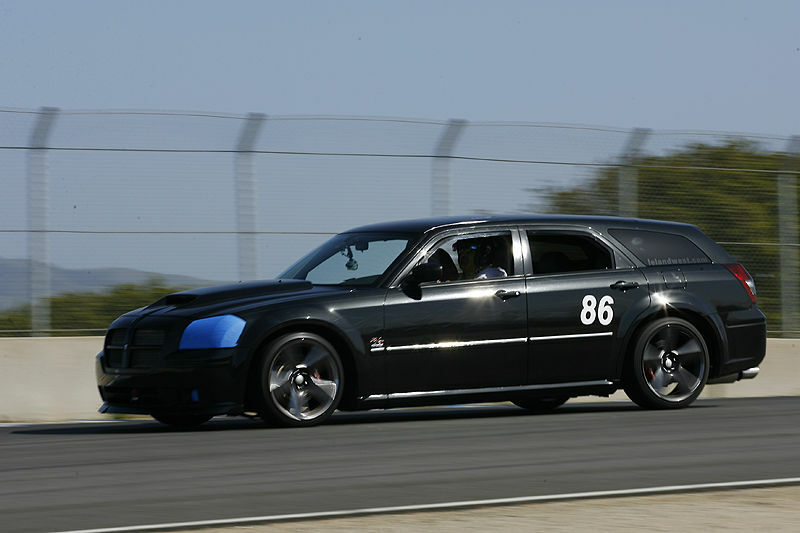 But it never stopped, and grew especially insane when I decided to turn the car into a dedicated track monster. There's a lot here that needs pictures and full writeups. But time is never available it seems, and often the best I can do is keep up this simple list. As time goes by, I'll change this and port over my dozens of writeups from both my personal site and online forum entries. 6.1L intake manifold hand-ported by Steve Frank. Smoothed internally, coated for heat reflection on bottom, airflow inside and heat reflection on the outside. The biggest, fattest aluminum radiator that will fit into the available space (from JoelVan). 3-Qt AccuSump connected to 40 psi auto-switch. Street pads: Wilwood BP-20 fronts and BP-10 rears. 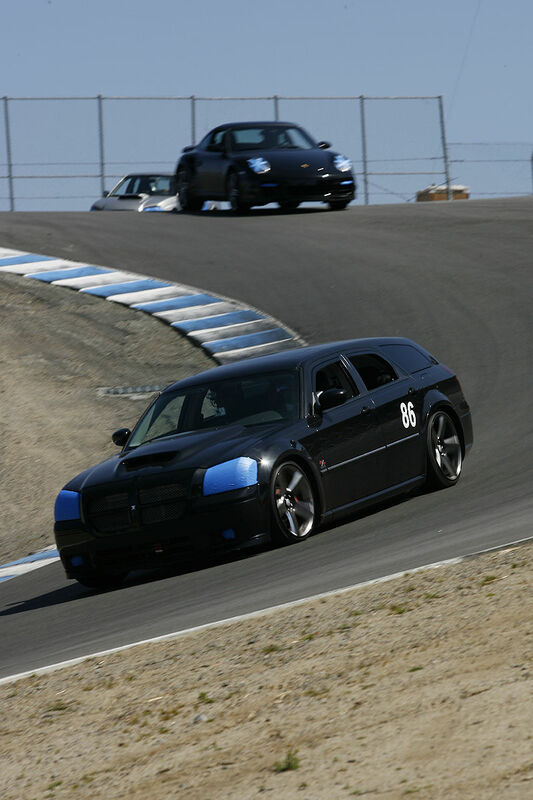 Street wheels: Dodge SRT forged alloy 20x9 wheels, powder coated and polished, with Nitto NT-05's in 255/45/20. Custom skull centercaps by Billet Technology. Ultimate alloy pedals (gas, brake, parking) with custom engraving. Wilwood FSL 4-piston rear calipers, red powder coating Replaced by BSL4 calipers, which can handle much bigger rotors, allowing more bias (aggressive braking force) to be put into the rears via more aggressive pads.